The synchronised announcement comes a day after Trump’s National Security Adviser John Bolton held talks with Russian officials in Moscow to lay the groundwork for the summit. 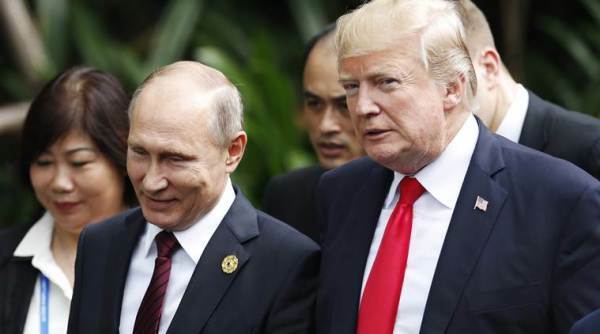 Moscow: Russian President Vladimir Putin and U.S. President Donald Trump will hold a summit in Helsinki on July 16, the Kremlin and the White House announced Thursday. A terse synchronised statement said the two presidents will discuss bilateral issues and international relations. The announcement comes a day after Trump’s National Security Adviser John Bolton held talks with Russian officials in Moscow to lay the groundwork for the summit. Finland has been a favoured location for U.S.-Russian summits since the Cold war times, a role helped by its efforts to maintain friendly ties with its huge eastern neighbour. Putin’s foreign affairs adviser Yuri Ushakov said after Putin’s meeting with Bolton that the issue of alleged Russian meddling in the U.S. presidential election was raised during the conversation, and the Kremlin reiterated its denial of any interference with the vote. Russian Foreign Minister Sergey Lavrov is likely to meet with Secretary of State Mike Pompeo within the next two weeks as part of efforts to set the stage for the summit, according to Lavrov’s deputy, Sergei Ryabkov. Ryabkov said in remarks carried by Russian news agencies Thursday that Moscow already has made a proposal regarding the specifics of the meeting and is waiting for Washington’s answer.